Kenny Rogers is retired. 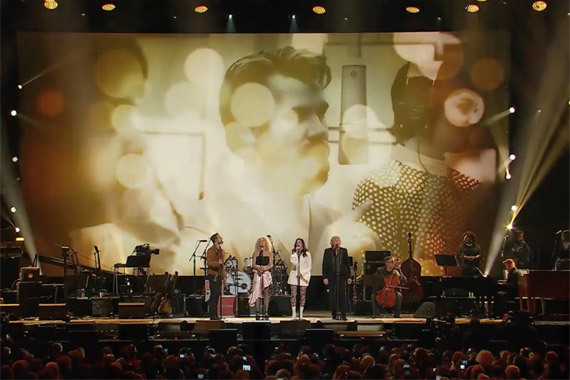 Rogers’ 60-year career culminated at the Bridgestone Arena last night (Oct. 25) for the All In For The Gambler: Kenny Rogers’ Farewell Concert Celebration taping. Pay no attention to his Christmas tour running through December. And the air date has not yet been announced for the special. 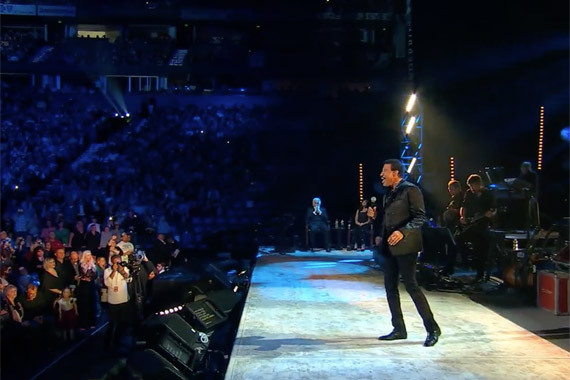 Rogers sat side stage, welcoming a slew of friends, including Lionel Richie (“Lady”) and Don Henley (“Desperado”), who once lived with Rogers and his family. 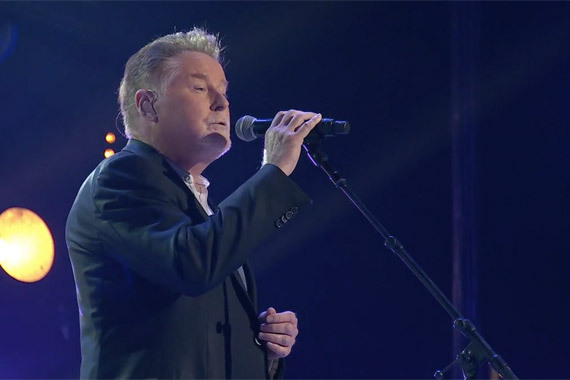 Also appearing were Wynonna (“You Turn The Light On”), The Judds (“Back To The Well”), Reba McEntire (“Reuben James”), Kris Kristofferson (“Me And Bobby McGhee”), The Oak Ridge Boys (“Love Or Something Like It”) and Crystal Gayle and Travis Tritt led a chorus of The Gatlin Brothers, Kim Forester, T.G. Sheppard, Lee Greenwood, T. Graham Brown, and Billy Dean for “Blaze of Glory.” Members from Rogers’ 1960s-1970s pop group The First Edition also took the stage for a photo appearance. 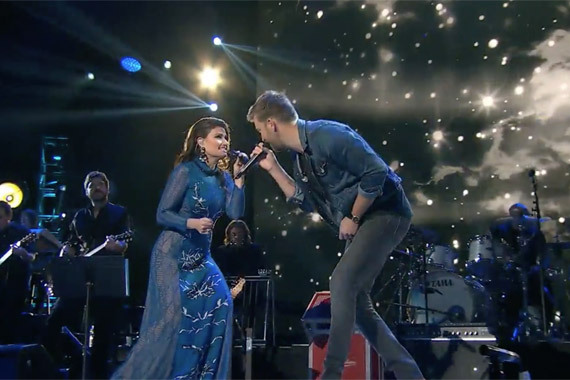 Not only were newer artists present—like Justin Moore (“Lucille”), Billy Currington (“Morning Desires”), Chris Stapleton (“The Gambler”) and Little Big Town (“Through The Years”)—crossover artists also took turns, among them Aaron Lewis (“Coward of the County”), The Flaming Lips (“Ruby”), Elle King (“Tulsa Turnround”) and Idina Menzel (“You Decorated My Life”). Even the house band was top notch, led by Don Was and featuring talent including Jedd Hughes and Tom Bukovak among many others. The evening’s host was Chip Esten. Bill Haslam and Nashville mayor Megan Barry’s reps presented plaques, marking the day as Kenny Rogers Day and honoring him with the Armed Services Award, among other plaques. The evening’s main attraction, of course, was Rogers with Dolly Parton. The pair talked for a cumulitive 15 minutes straight about everything from favorite career memories to plastic surgeries with their candid charm and signature wit. “She is like this 24/7,” said Rogers of Parton’s energy. Parton then performed her signature “I Will Always Love You” as Rogers again, sat back. Then the moment everyone waited for. 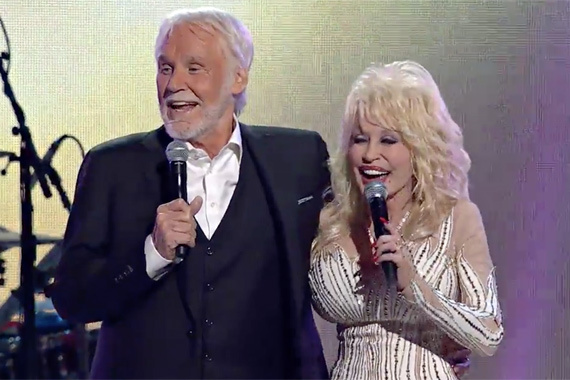 As cameras rolled, the final duet performance of “Islands In The Stream.” Parton and Rogers then took a bow, and “went out like rock stars” with a dual mic-drop before walking back through the risers into the lights, in each others’ embrace.